Washington, D.C. (Oct. 3, 2018) — The International Water, Sanitation and Hygiene (IWSH) Foundation is offering the special opportunity to attend the 2018 international Community Plumbing Challenge as an Ambassador. Ambassadors will participate in a special two-day slate of events Oct. 21-22, including a welcome dinner, project site visits, and a roundtable discussion with key policymakers and industry thought leaders. This exclusive experience will give participants an intimate look at this year’s project and provide an opportunity to engage with colleagues from industry and government to discuss how we can better work together to solve America’s water and sanitation crisis. Following the Oct. 22 welcome ceremony kicking off this year’s CPC, Ambassadors are invited to attend the “Water and Sanitation Crisis in America Roundtable: Government & Industry Working Together for Solutions” at the Thoreau Chapter House. The discussion will include leaders from the Navajo Nation, policymakers from the local, state and federal levels, and industry thought leaders. In addition to focusing on issues concerning tribal lands, the roundtable will look at issues facing the more than 1.6 million people across the U.S. without access to clean water and safe sanitation. The Navajo Nation CPC, set for Oct. 22-26 in Thoreau, New Mexico, assembles a multi-disciplined team of skilled tradespeople to execute plumbing and construction projects that will improve living conditions in approximately 10 households nominated by U.S.-based nonprofit organization DigDeep. Inside homes, a range of bathroom and kitchen renovations will be carried out, including the installation of new basins, taps, toilets, water tanks, water pumps, and hot- and cold-water pipework. These renovations and repairs are required in order for these homes to be connected to water supply systems. Meanwhile, efforts outdoors will address the installation of, and connection to, new wastewater systems. Space is limited for this exclusive opportunity. A limited number of press credentials will also be available for the roundtable discussion Oct. 22. For more information about becoming an Ambassador, contact IWSH Managing Director Dain Hansen at (202) 445-7514 or email info@iwsh.org. 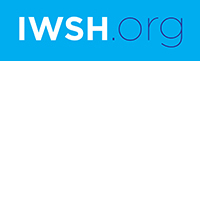 IWSH is uniquely positioned to maximize the standardization and implementation of water and sanitation services by combining a near century of technical expertise, promoting international codes, standards, and regulations across the industry. It works to create innovative strategies, partnerships, and in-country programs that will result in direct real-world impact through the enhancement of physical schools, facilities, and the upskilling of thousands of workers across the globe. The foundation’s vision goes beyond clean water and sanitation — it is to build the framework, work force, and supply chains to sustainably grow these services in every country.